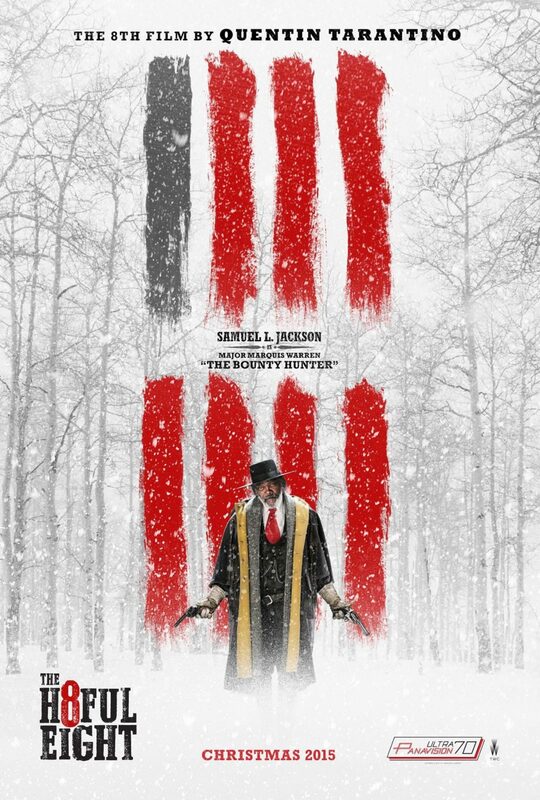 August 20, 2015 Gary Gamblemovies, NEWS, Trailers, upcoming releases to watch out for . 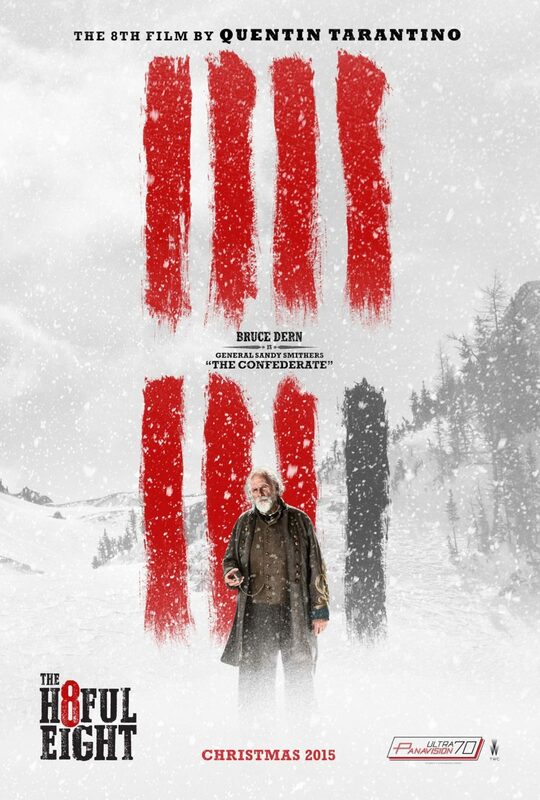 New character posters for Quentin Tarantino’s 8th feature film – The Hateful 8 have just been released. 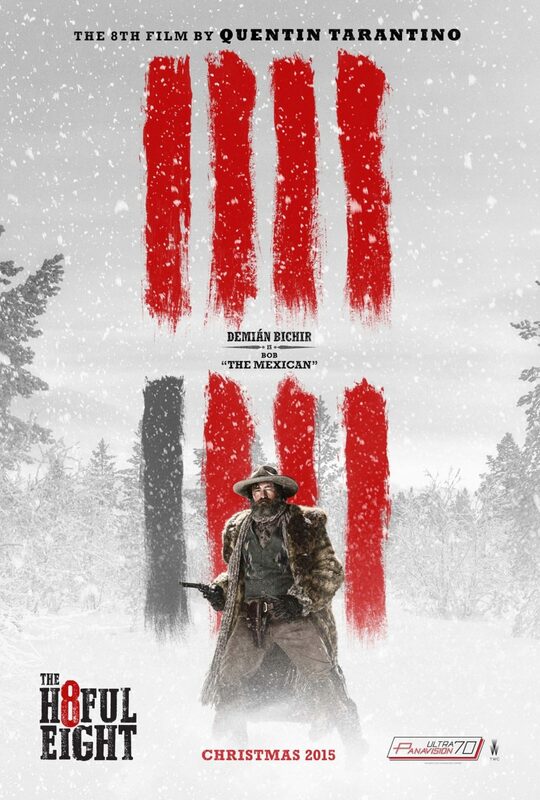 Some of the cast starring in the Western epic include Jennifer Jason Leigh, Samuel L Jackson, Tim Roth, Kurt Russell, Channing Tatum, Walton Goggins, Bruce Dern, Michael Madsen. The film will be released Christmas 2015, and no doubt the cinemas will be fully booked throughout the globe. 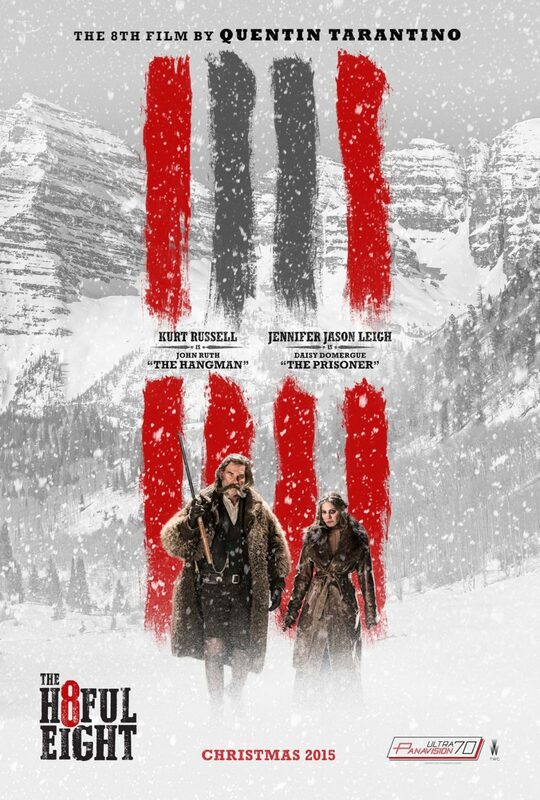 If this is anything like Tarantino’s previous movies then we’re in for one hell of a blood-soaked, and violent, festive season. 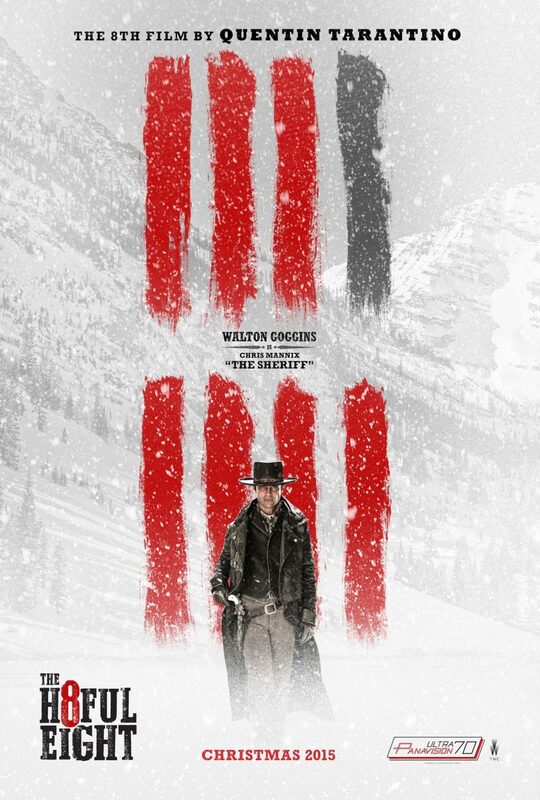 As I said in a previous s H8 article – the only problem I had with Tarantino’s previous western effort – Django Unchained was the soundtrack. Some people loved the modern hip-hop approach, but I am one of the people who like their westerns with as little Jay-Z or Kanye West as possible. Usually, with a QT movie, the soundtracks are amazing and memorable, I have had countless nights with great friends that have been fueled by nothing more than some essential Quentin Tarantino soundtracks. Anyway’s, before I go off on a mad rant, what I am trying to say is that he has hired the best possible man to score the soundtrack for H8 – the man who gave the Spaghetti Westerns their soul – the man who could write music for a tumbleweed blowing across a vacant street and make it the most hypnotic and beautiful thing you’ve ever seen – Mr Ennio Morricone. 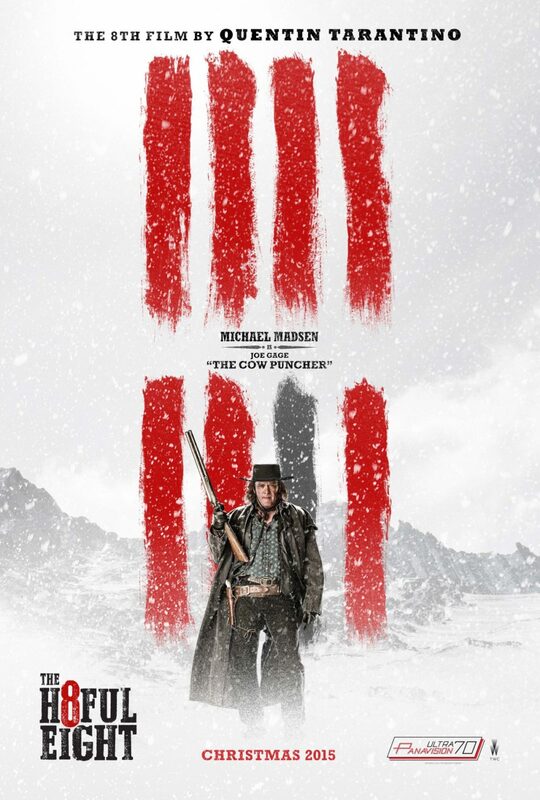 With Morricone on board, and Tarantino’s, obvious love and inspiration for classics like A Fistful Of Dollars can only mean that we have got something special in store for us this Christmas. 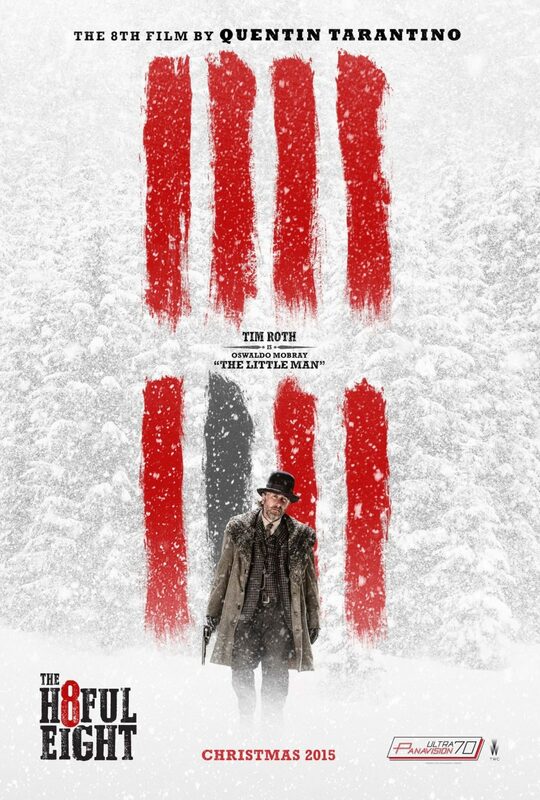 In post-Civil War Wyoming, bounty hunters try to find shelter during a blizzard but get involved in a plot of betrayal and deception. Will they survive?.